Php 2:5 Let this mind be in you which was also in Christ Jesus. 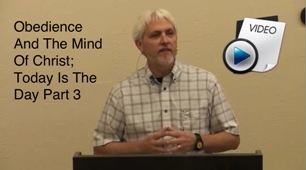 What is the mind of Christ? In this message, we look at obedience, what it really means, and what is the mind of Christ, and how you know you have the mind of Christ. Understanding God’s love and grace truly brings simplicity to the gospel. Share the good news with someone today. “Today this scripture is fulfilled in your hearing!” We have been incorrectly taught that the fullness of salvation is a future event, even though it was “complete” at the cross. In fact, Jesus proclaimed; “TO PROCLAIM THE ACCEPTABLE YEAR OF THE LORD.” [the day when salvation and the free favors of God profusely abound] What were we waiting for? Hear this message, and be lifted and inspired with the very good news of our salvation. How long have you been waiting for that blessing that is “around the corner” or “on the horizon”? 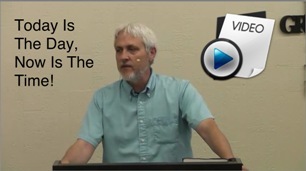 Listen to this message, and discover what God had in mind for you in His redemption. It’s not what you might think, or what religion has fed us. You will be encouraged and blessed! Posted on June 16, 2014 October 26, 2016 Author EvanCategories Grace Audio/Video MessagesLeave a comment on Today Is The Day, Now Is The Time! 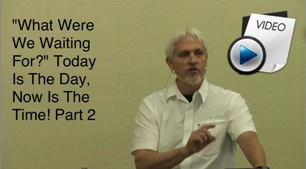 A re-blog from a great article written by Paul Ellis, enjoy! A recent article in Charisma News warns about the dangers of ear-tickling preachers and their deceptive message. An ear-tickler is someone who tells you what you want to hear. 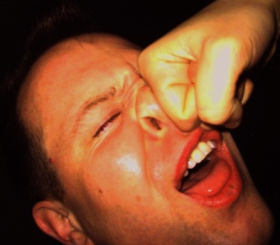 In contrast, a nose-puncher is one who tells you what he wants you to hear, and typically does so with all the fervor of an Old Testament judge or prophet.Continue reading…Article by Paul Ellis at escapetoreality.org Thank you Paul! 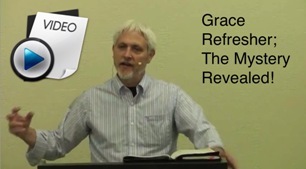 Grace Refresher; The Mystery Revealed! Many Christians are busy fighting an enemy that is defeated, trying to finish a work that has already been completed, and they wonder why they can’t find rest. In this message, be refreshed with good news and the simplicity of His gospel. Don’t let the system of religion tell you otherwise; Don’t trust any system that only gives you a small taste and teases you about something and promises you more if you come back. That’s how drug dealers work. They only give you enough to get you addicted then once you are, they own you. 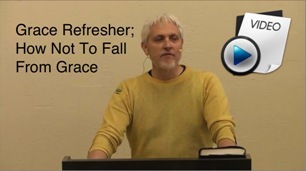 Posted on June 9, 2014 October 26, 2016 Author EvanCategories Grace Audio/Video MessagesLeave a comment on Grace Refresher; The Mystery Revealed! Sometimes we just need a refresher, a reminder of the simplicity of the gospel. Our thoughts shape what we believe, and what we believe shapes how we live! Let your thoughts be in agreement with His thoughts for you. In this message let us be reminded “how not to fall from grace.” Be Blessed!